Direct Voicemail Messaging - Spancept Inc.
As a conscientious business person you’re always looking to make your advertising program more efficient and effective. To get a maximum return for every ad dollar you spend. Introducing RinglessVoicemail Drops. Imagine the ability to drop a voice message directly into a subscriber’s mailbox without ever making a call or ringing their phone line. With ringless voice drops you’ll get your sales message into every voicemail of every targeted customer your trying to reach–guaranteed. When they check their voice mail messages they’ll most certainly listen to yours because they’ll want to know what their quote, “Missed call” had to say. That means they’ll listen attentively, with no interruptions,feeling no sales pressure, and they’ll be much more receptive to learning more about you and your product! 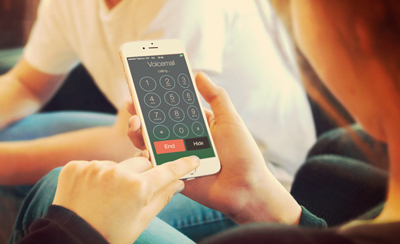 With ringless voice drops you’ll get greater response rates from your targeted call list. There are no call fees for recipients and Ringless Voice Drops are 100% FCC Compliant!. Does Cold Calling Not Work?